Dr. Michael Mickler is a church historian whose teaching and research interests include the history of Christianity, the American religious experience, the Unification movement, and interreligious peace-building. He sees his task as one of balancing faith with scholarly objectivity, cross-disciplinary perspectives, and a commitment to dialogue with representatives of diverse Christian traditions and world faiths. His books and numerous articles are recognized by the wider academic community and cited at length in major scholarly monographs on the movement. In recent years, he has contributed a number of articles on the Unification movement to mainstream encyclopedias. His 40 Years in America: An Intimate History of the Unification Movement, 1959-99 is the definitive account of the movement’s emergence and development in the United States. 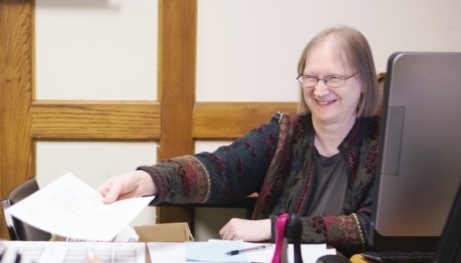 Since joining the faculty in 1989, Dr. Mickler has served in a variety of administrative positions, including those of Academic Dean (1995-2000) and Vice-President (2000-2009). He is an editorial board member of the Journal of Unification Studies and serves as Academic Director of the Seminary’s Educational Resource Center (UTS-ERC). Dr. Mickler is Professor of Church History and current Vice-President of Administration at UTS. Dr. Mickler is the primary historian of the Unification movement in America.